Online reputation is capable of making or breaking your business regardless of the type of business you operate. Why not embrace it? 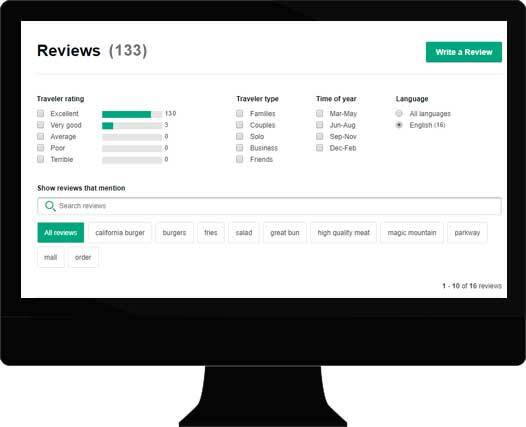 It does not matter if you like or dislike Yelp, Google, TripAdvisor, Health Grades or any other online reputation system, the bottom line is that your online reviews have a real impact on your revenue and bank account. From claiming your account to maximizing its potential with your information, our first-hand experience will prove invaluable as you strategize on how to handle this modern phenomenon. Just remember, a negative review can bring you customers! Los Angeles Internet Marketing Agency never charges for Reputation Management Consultations. We work with our client to claim their business listing or gain access to their existing profiles. Add your Business Description, Category, Contact Information, Hours of Operation, Pictures, Video and more depending on the service. Our team is always available to make profile changes and corrections to ensure that your public information is accurate. It is your business, and these are your customers, learn how to handle your customer upsets while in the public spotlight.